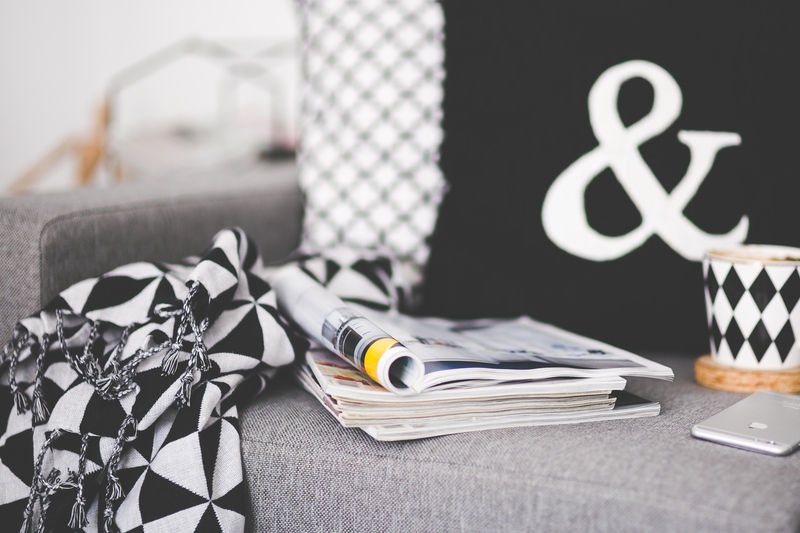 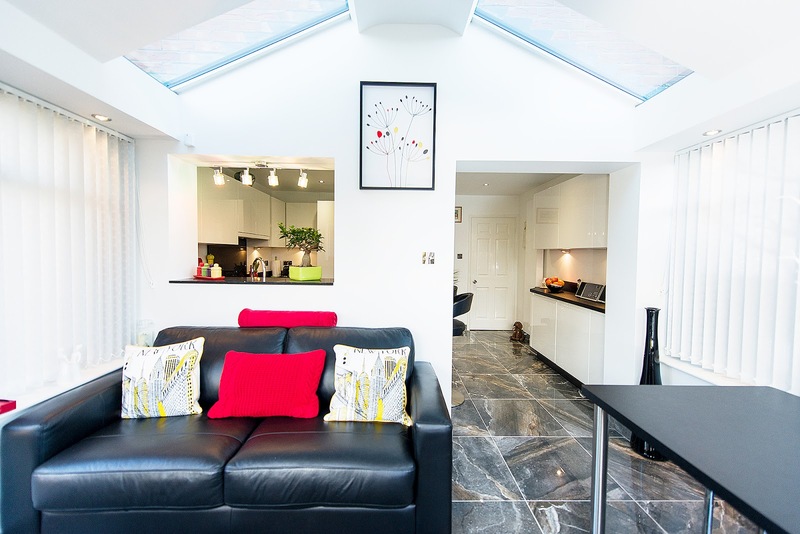 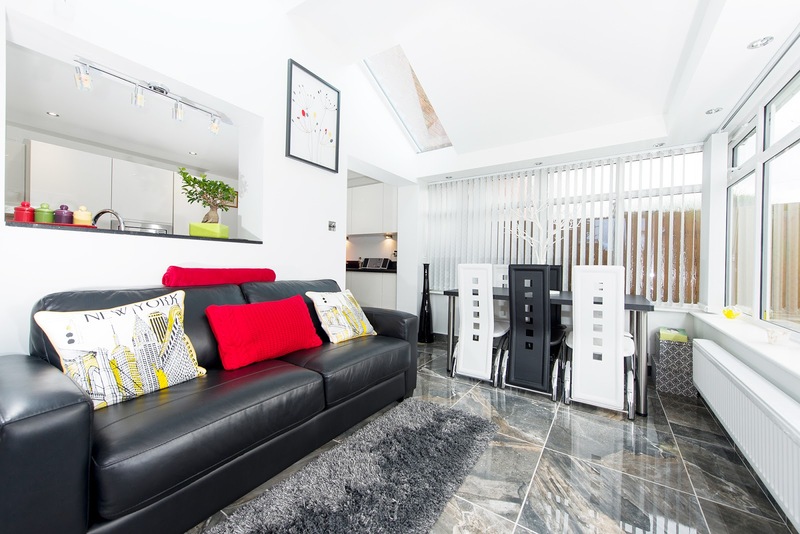 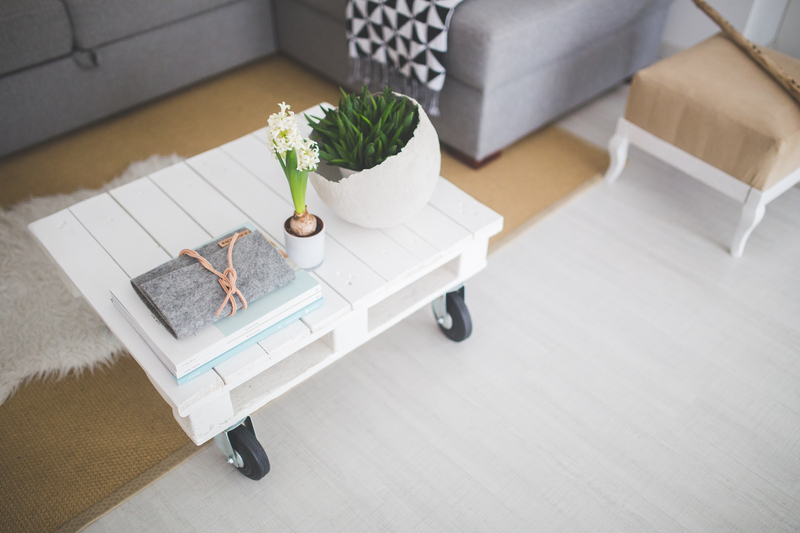 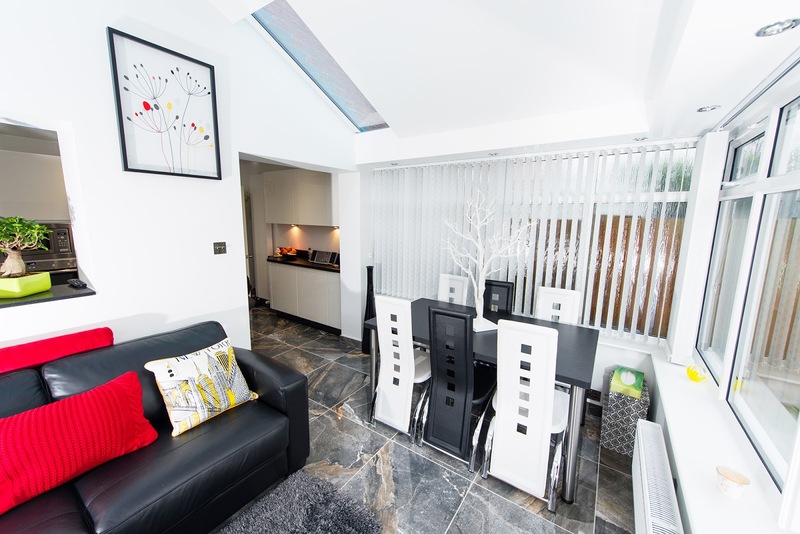 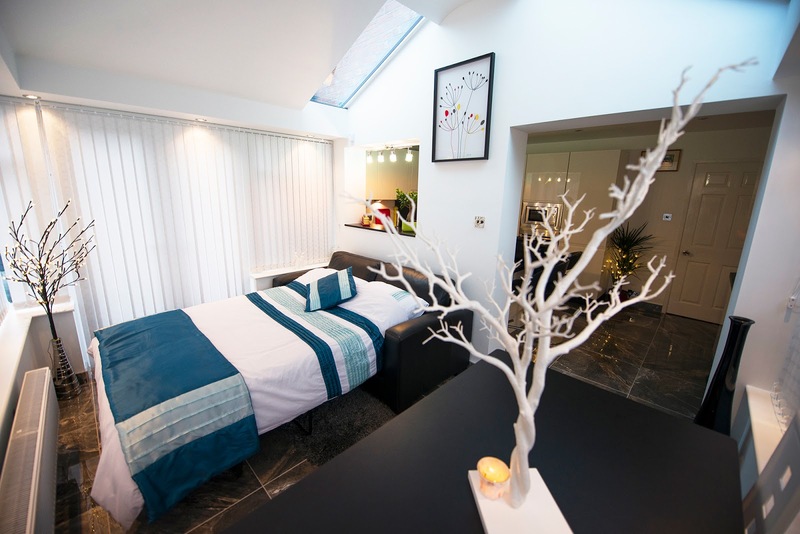 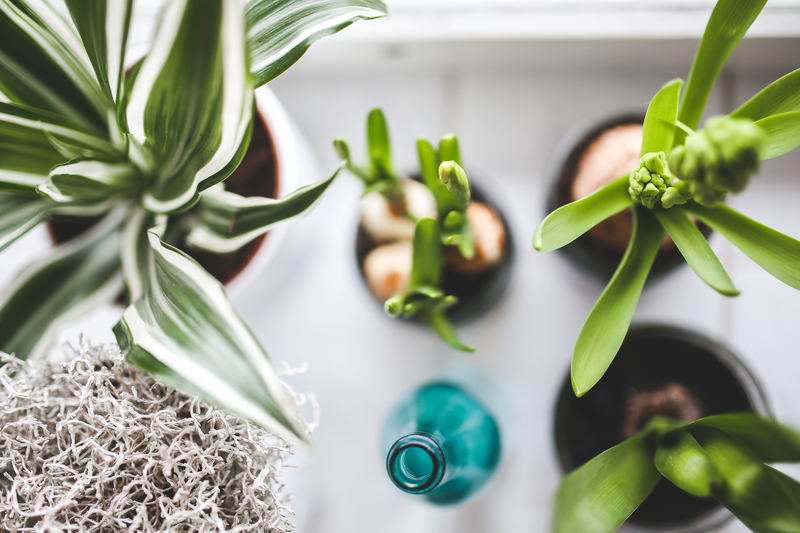 Home Uncategories LivinROOF : Transforming your Conservatory this Winter! LivinROOF : Transforming your Conservatory this Winter! 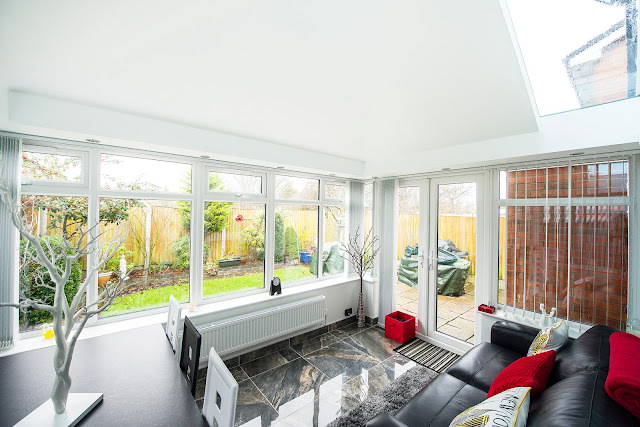 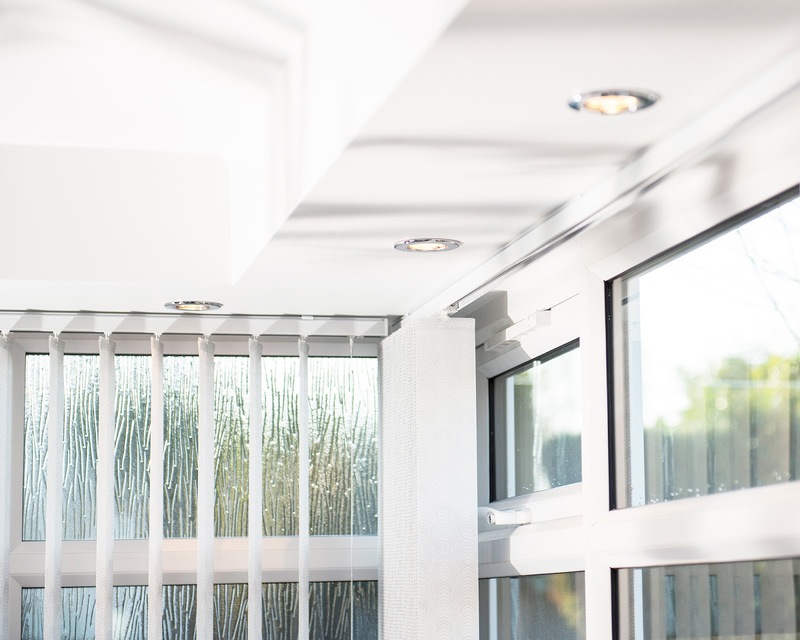 Here at Marton Windows, we offer the Fantastic Award-Winning, LivinROOF Systems; a Fantastic Lightweight Solid Roofing System that Enhances your Existing Conservatory, into a all-year-round Usable Space! 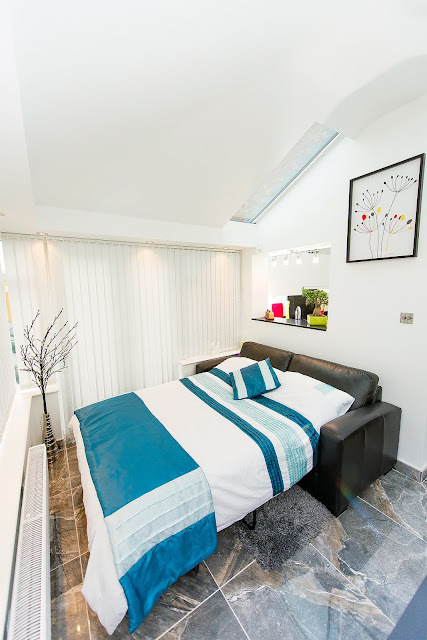 Check out this Fantastic Installation by UltraFrame, and how it completely Transformed this Fantastic Space! 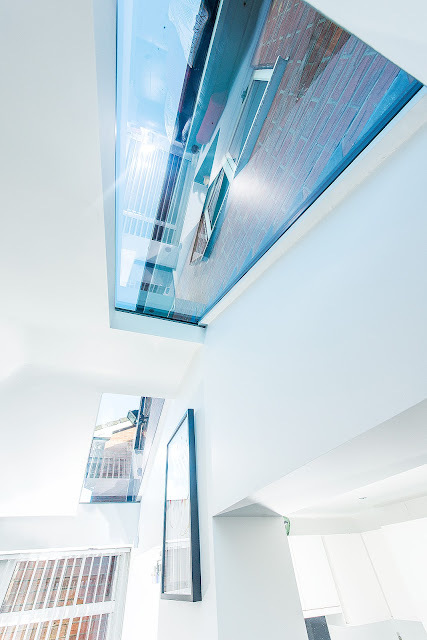 Stunning LivinROOF Installation with Glass Panel In the Top to Alow More Light to Flood Through to the Next room, Optimising the Light Space into the Kitchen. 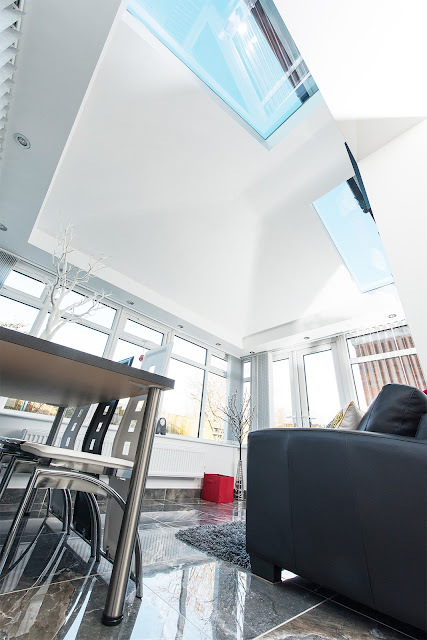 We Love this Installation of this LivinROOF, It Brings a Modern Contemporary Look to this fantastic Conservatory. Adding Panels to your LivinROOF Can Add Light down the Back of the Room, Here you Can see they Added the Two Panels to the Top Left and Right Side, to allow light to flood there existing Kitchen, where they have knocked through to add an open Plan Kitchen Space. Here you can see the Fantastic Glass Panel, and the Spot Light Details of the LivinROOF installation. 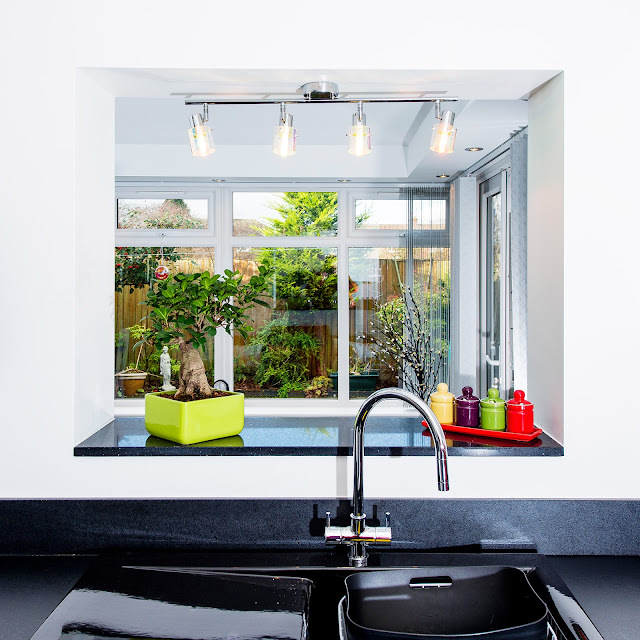 Adding Spotlights to the Surrounds near the Window, offer a Wonderful Light Feature. 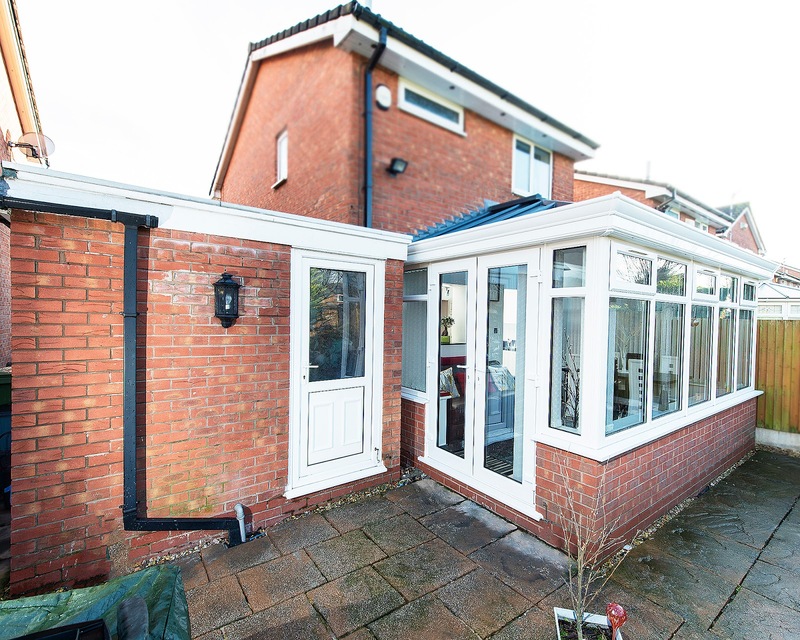 We Love how the Customer has Knocked through into there Existing Kitchen by adding a LivinROOF to their conservatory offering a Space you can use all year round. 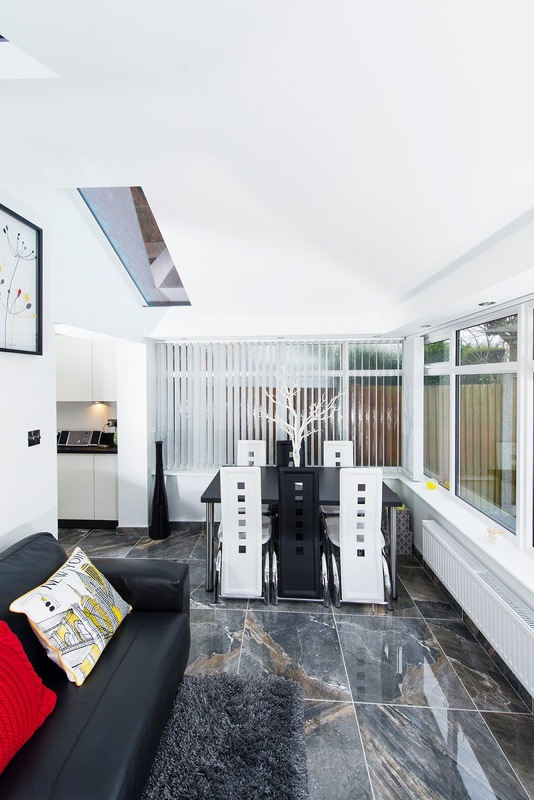 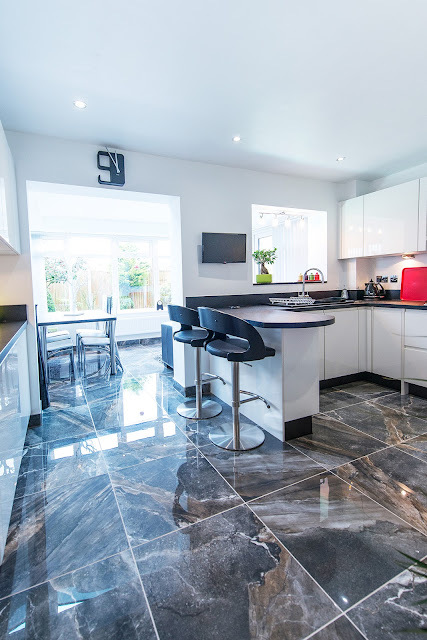 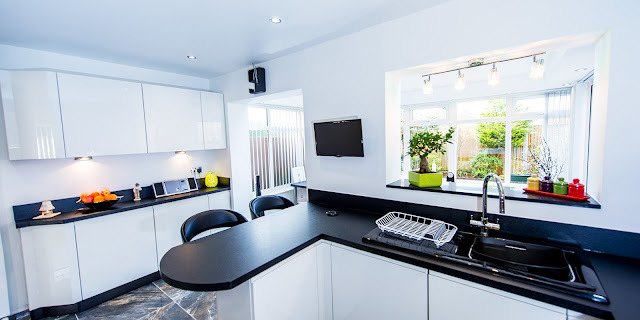 Beautiful Modern White Kitchen Looking onto the Conservatory, with a LivinROOF Installed. 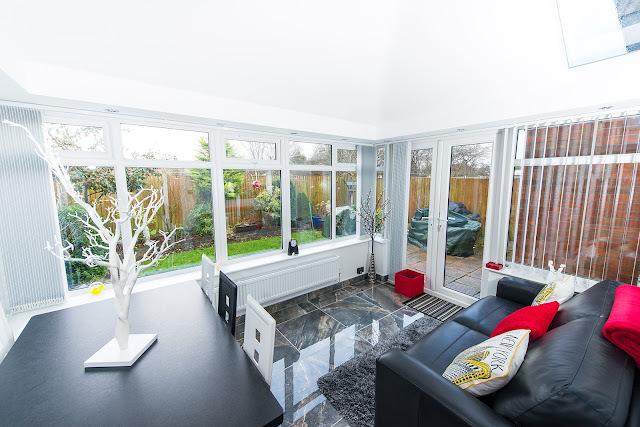 Where the Original Kitchen Window Used to be, The Customer has Kept this Space, too Look out into there conservatory, which offers the Opportunity to let light Flood Through to the Kitchen, with the Ability to still look out into the Garden. 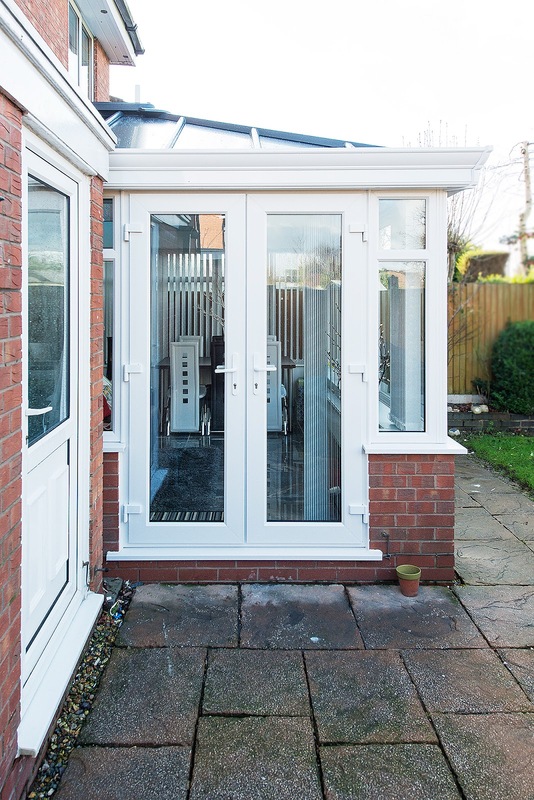 Open Out French Doors, are a Fantastic Idea for a Wider Entrance Space, Perfect for Entertaining! Here at Marton Windows We Use only High Quality REHAU UPVC Profile. Fantastic View of the Two Top Glass Panels, which allow Light to Flood the Back end of the Room, where it would otherwise be Restricted of light. 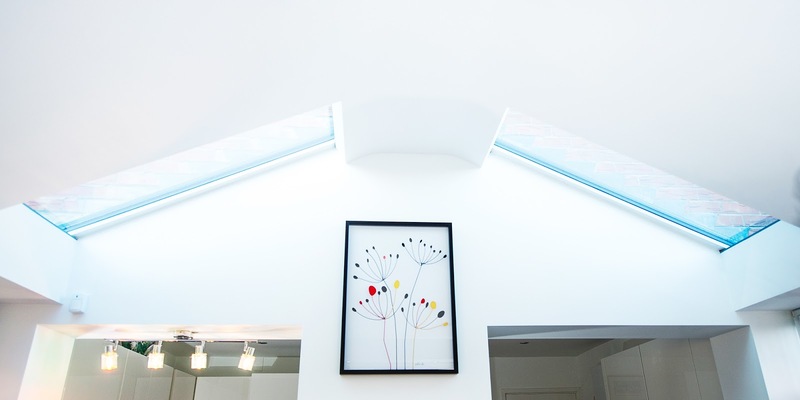 Details of the Fantastic Spotlights, which adds a wonderful Lighting feature to this home. Transforming A Conservatory Into a Usable all Year round Space with Modern Tiles, and beautiful Spotlight Features around the Room, we love this Space and Style! 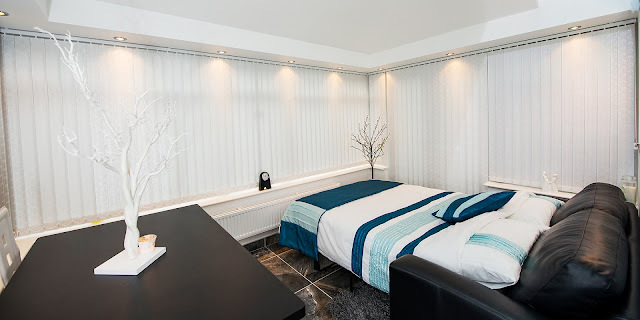 Spotlights around the Room enhance the Room and add a wonderful Lighting Feature. Here the Customer has transformed this Space into a Multi-use space, transforming it from a Dining Room, into a wonderful Guest area.